Chickens love to make a little burrow for themselves in the dirt and roll in it. If you catch your chickens taking a dust bath, you may think they’re having a seizure; they flop around with their eyes closed and make strange little sounds, but if you watch for a while longer you’ll see how much fun they’re really having. 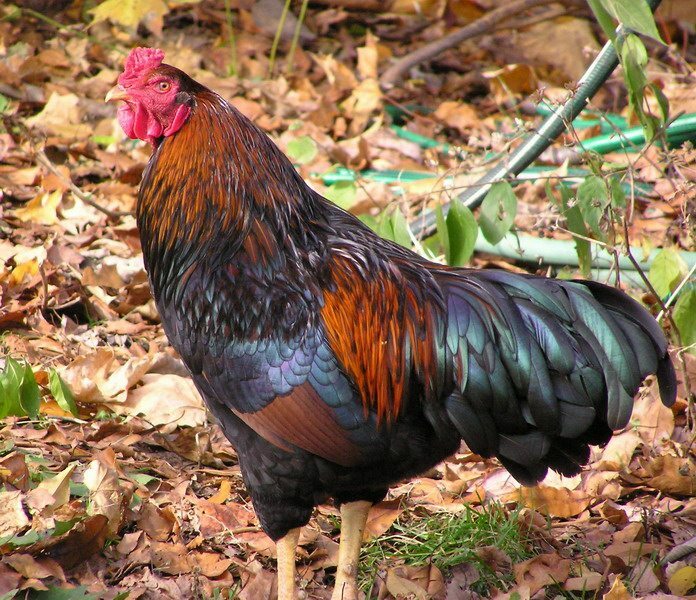 Free-range hens love to dig down into damper dirt and throw warm, damp soil all over themselves. A dust bath is a ritual done throughout the day by your chickens. They’ll scratch out a little, shallow burrowy nook, and nestle into it. They’ll throw dirt over themselves, flop around and ruffle their feathers to get the dirt deep down near their skin. Your birds will find the best warm spots in the yard, settle down for a bath and when they’re all done they’ll stand up and shake all the dirt off in a little cloud before wandering away. Why do they take dust baths? Chickens instinctively take these baths and historically it has been done to kill off parasites that would be hanging onto the skin. 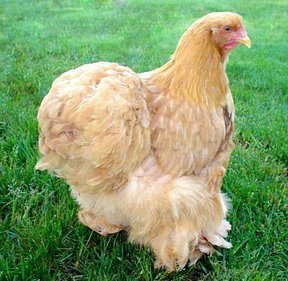 Good poultry owners now dust for these same parasites, but the dirt from a dust bath would clog the breathing means of the parasites and kill them off. Then when the chickens stood, they parasites would fall off with the dirt when they shook themselves out. But I don’t want dusty hens! 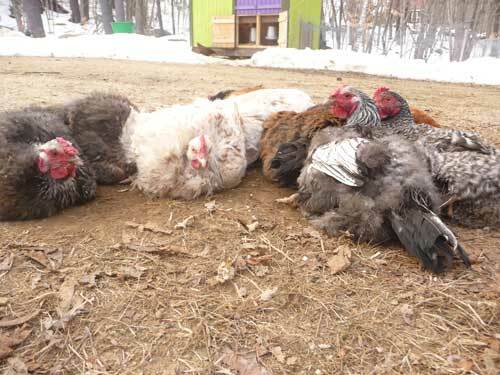 You may not want dusty hens, but dust baths help make healthy and happy hens. Dust baths remove dander, feather flakes and excess oil from the skin of your chickens which encourages preening. Preening causes the oils from the glands to spread back across the feathers which keeps them both waterproof and in good condition. It helps reduce the amount of dusting you have to do, taking you from constant dusting to simply preventative dusting as mites, lice and fleas can all be killed off through regular dust bathing. Dust bathing makes for happy hens. Go out and watch them while they’re rolling in the dirt. Listen to the sounds they’ll make. These are happy, contented birds. They love to settle into the dirt and enjoy the sunshine. The sounds they’ll make during a dust bath you will never hear any other time! Making a back yard dust bath when you don’t have dirt. Raising chickens in the city? Don’t have dirt in your backyard? Making a dust bath for your chickens is simple! Take a box as small as a litter box or something as large as a plastic wading pool and set it in the corner of your yard, preferably in a sunny area. Ideally you want to provide your flock with 6 inches of material to settle into and play around in. Remember that your dust bath area must be sturdy! Your hens may perch on the end and wait their turn and a scare will scare them off for good! Remember to clean out your dust bath periodically so that poo and dead parasite bodies don’t build up. Keep you bath topped up, don’t let it drop below four inches of material for the birds to play in. Sit back, and enjoy watching your chickens preen and clean!